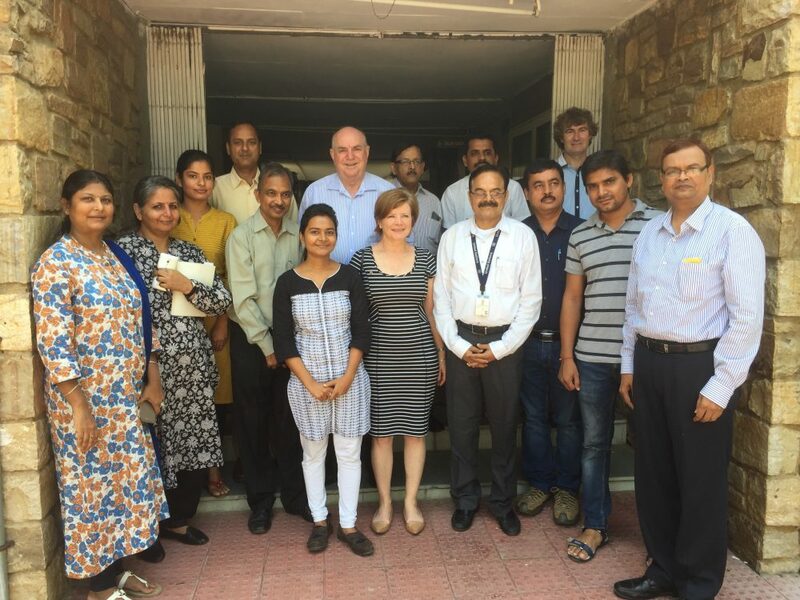 The Australian Government’s Australia India Council grants program, the WaRM Trust grant and funding from the Department of State Development (DSD), have enabled 7 Fellows from the state of Rajasthan, India, to participate in a 6-week intensive research program in Adelaide. The two female Masters students from Malaviya National Institute of Technology (MNIT) and five water professionals, are sharing knowledge and expertise during their busy schedule with their counterparts at the South Australian Water Corporation (SA Water), the South Australian Department of Environment, Water and Natural Resources (DEWNR) and Flinders University. The program is designed to promote people-to-people links and support for the Australian Government’s international policy goals through increased understanding of the cultures and opportunities in each of these countries. ICE WaRM’s priority consideration in the program is the development of new innovative ventures that build on water technology. Jodhpur City, the second largest city of Rajasthan State, is known for deep ground water and has no major water body due to limited rainfall. It had experienced a drinking water shortage for centuries until Himalayan water reached abundance in 1996. 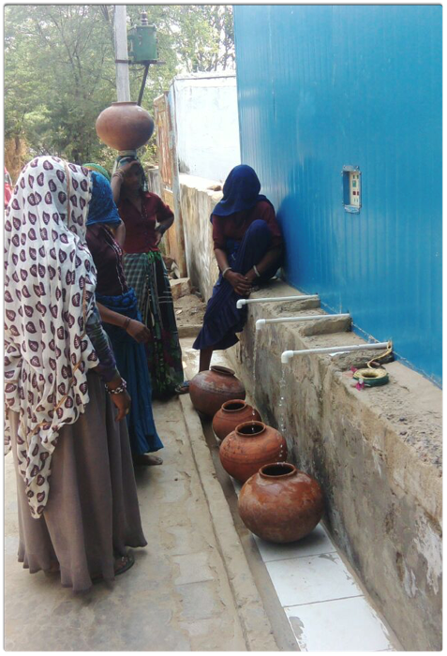 Some of the areas of int erest for the Fellows include achieving efficient and sustainable water use, and designing a Smart Water Distribution Network. 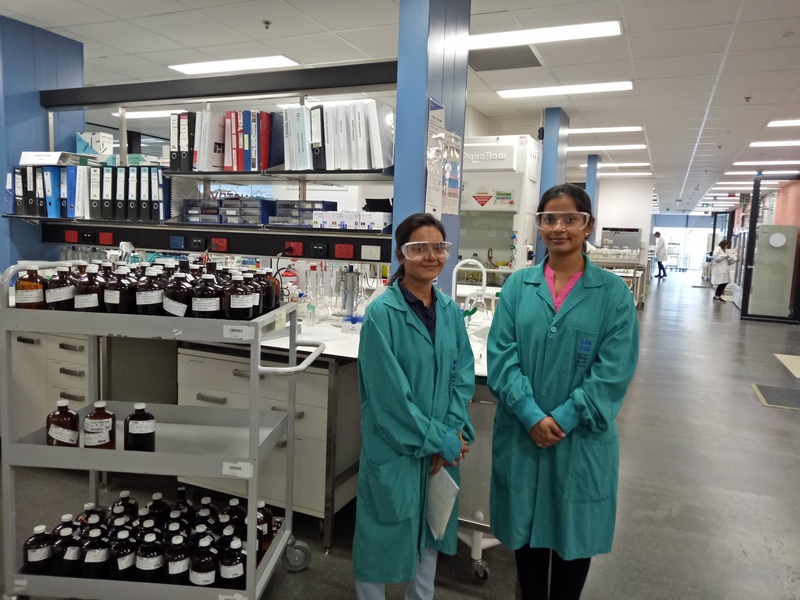 This week Miss Neelam and Miss Bhavana were inducted into the laboratories at SA Water to learn how water samples are being analysed. This research will greatly benefit their thesis work in India. 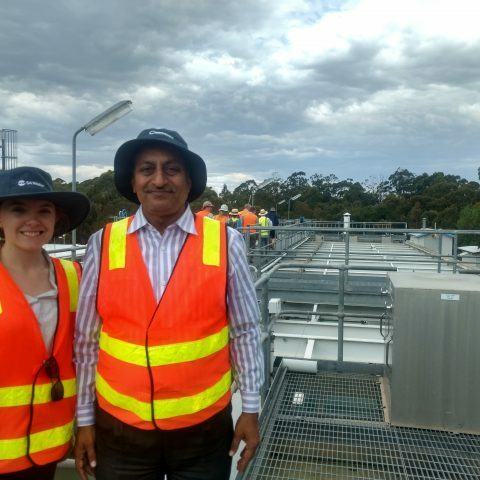 Mr Niril Kumar, from the Public Health and Engineering Department (PHED) in Rajasthan, had an informative tour of Adelaide’s desalination plant and compared it to the 2000 Community Water Purification Plants (CWPP) installed to date in Rajasthan. “CWPPs are established in villages where the groundwater is contaminated with fluoride, nitrates or salinity and provides safe water for drinking and cooking only, whereas the desalination plant is a contingency measure for Adelaide.” Mr Kumar explained. While the 2000 CWPPs have a cumulative capacity of 16 million litres per day and draw from ground water, the desalination plant has a capacity of 300 million litres per day, draws from ocean water and is not a cost effective option for Rajasthan. Also from PHED, Dr. Dinesh Kumar Periwal visited waste water treatment plants in Christies Beach and Glenelg as well as the Seacliff mini-hydro pumping station, SA Water’s North South Interconnection System Project (NSISP). “I was very impressed with SA Water’s fully automated supervisory control and data acquisition (SCADA) system, said Dr Periwal. “It links river basin water levels, all the raw water pumping stations, water treatment plants, clear water reservoirs, pumping stations and system peripheral pump stations to head office. ICE WaRM looks forward to continuing projects with Rajasthan and further strengthening the sister-state relationship.